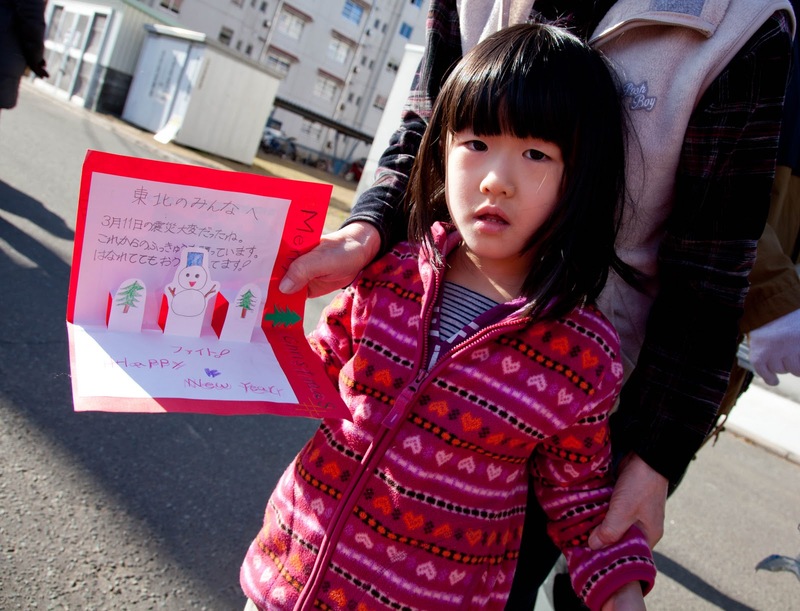 A team of 9 Santas visited Temp Housing Units alongside the regular SaveMinamiSoma distribution. Although this article is a little late, I still thought it would be worth writing about how the volunteer groups I’ve been working with operated over the Winter Holidays. On December 23rd, FVJ members rejoined the Save Minamisoma Project ( www.saveminamisoma.org ) to help out on one of their most ambitious missions yet. On top of the regular bi-weekly delivery of aid and supplies for 1000 people living in temporary residences in the town of Minami-Soma, they also sent up a team of nine Santas to canvass the neighborhoods, and bring donated presents directly to the housing units with young kids. 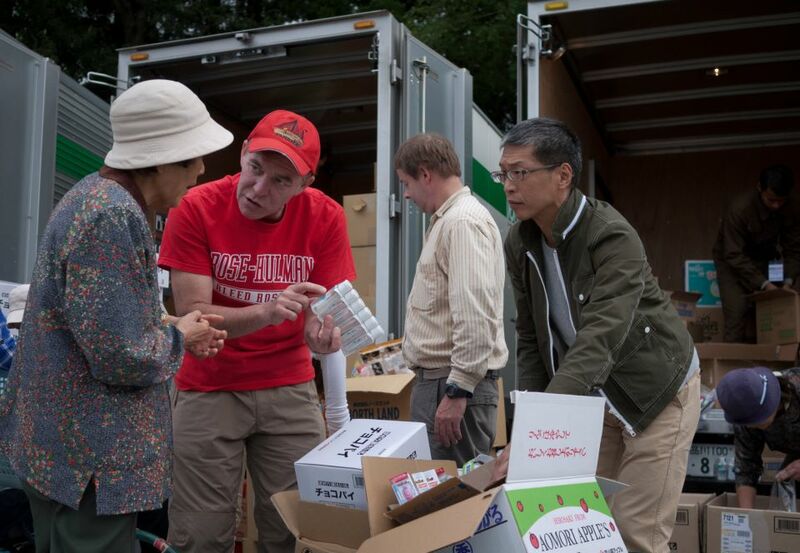 The Save MinamiSoma project has been actively distributing fresh food, nonperishables and water up to the residents of MinamiSoma, Fukushima since late March. While their early distribution efforts were concentrated on bringing any supplies possible to address the specific needs of a few specific refugee shelters, they made a distinction early on to focus on distributing supplies fairly, and evently across the entire population of refugees across the city. Although it is logistically difficult for a small group to provide for such a large demographic, SMP has developed an elaborate system for ensuring fairness and evenness for their distributions. First, they work closely with a local NPO called “Side-by-Side” ( http://www.side-by-side-intl.org/130.html ) to canvas the neighborhoods and find out general information about each neighborhood, such as general demographic information, and assessing specific needs in the community, such as the need for children’s goods or elderly-care items. Then, they hold large fundraisers every second month. This month’s one will be held tomorrow (On Friday Feb 3rd, 20:00pm onwards) at Club Velours. 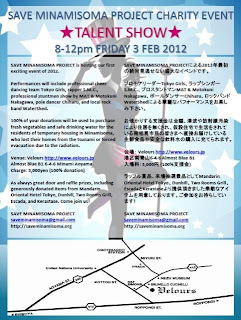 Details available on the Facebook Invite page ( http://www.facebook.com/events/153195538123521/ ) Each fundraiser pulls in a couple thousand dollars, and 100% of that money is directed towards buying fresh vegetables and food for the temporary housing communities of MinamiSoma. Truck rentals, gas and other transportation logistics are generally covered by rotating sponsor organizations. Since the group is still small, they’ve been effective in practically addressing how much they can accomplish in each run, and based upon how much they’ve been able to raise. On average they aim to provide 4-5 days worth of supplies for around 1000 people for each run. To address this, each distribution run aims to cover 4~5 temporary housing communities. Since there are close to 7000 people who’ve lost their homes, SMP gradually rotates across the various communities for each run. The 4 communities visited during the Christmas run have now been visited 4 times by the group, and the two runs in January were also the 4th visits to those respective communities. 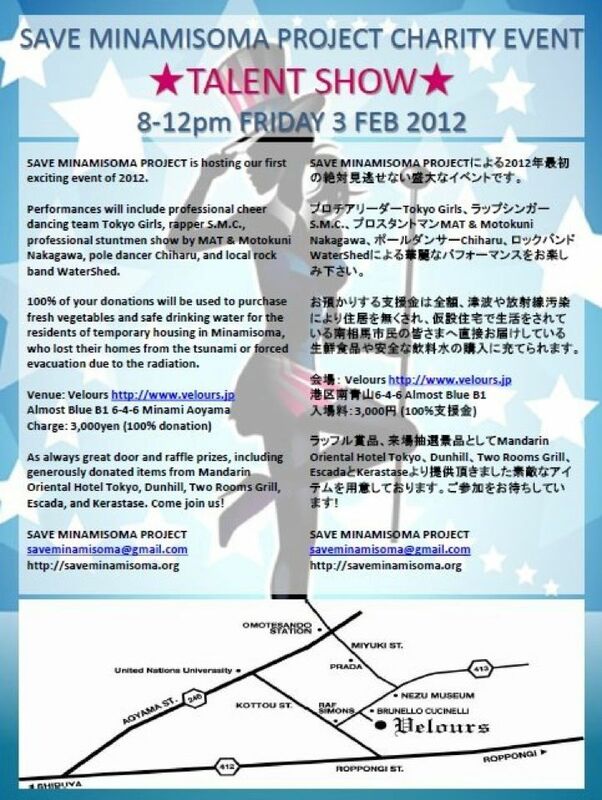 Please visit the Save Minamisoma Project Webpage or Facebook group for more information about their activities. They are always looking for new volunteers to join on the runs, help load the trucks, drivers with Chuugata (up to 8 ton) licenses, help organize the events, and general supporters as well. 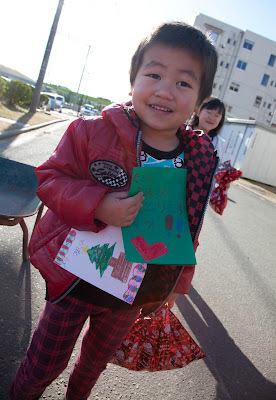 A young boy excited about his gift and card. Volunteer Trevor Impey brings supplies to a Temp Housing unit. 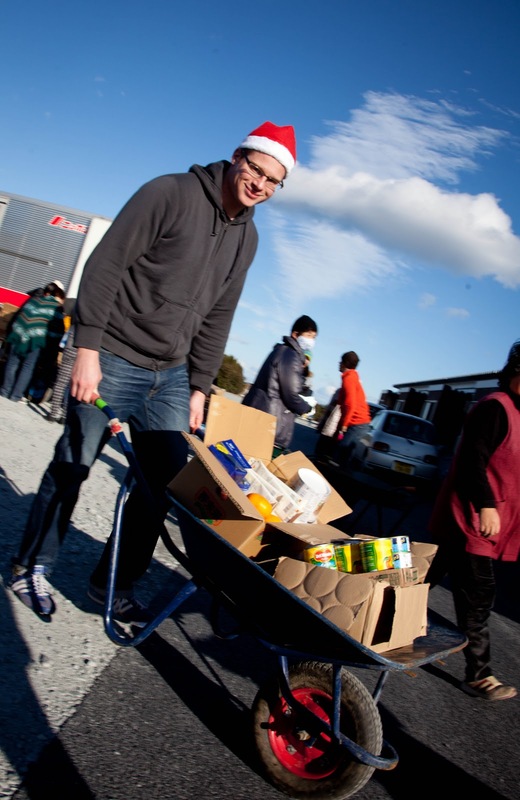 ← Volunteer in Ishinomaki with "It's Not Just Mud"